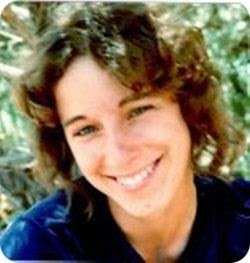 Charlene Whitman spent many years living on Colorado's Front Range. She grew up riding and raising horses, and loves to read, write, and hike the mountains. She attended Colorado State University in Fort Collins as an English major. She has two daughters and is married to George "Dix" Whitman, her love of thirty years. 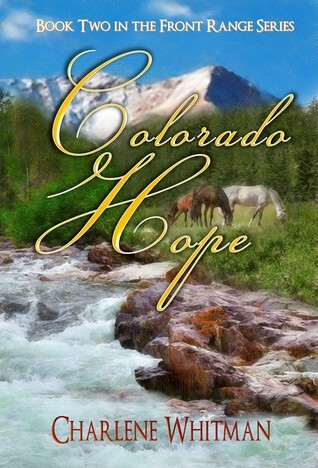 Colorado Hope is the second sweet Historical Western Romance novel in her Front Range series. Her latest book is the sweet western historical romance, Colorado Hope. Colorado Hope is available at Amazon. What a fresh surprise! Any book that has to do with Colorado I am all about reading. This book was really pretty good, though a bit long and drawn out at times. The overall idea is about Monty who is taking his wife West to start out new. He gets washed down river and Grace moves on into town and starts her life, assuming her husband dead. Monty is actually alive but has no memory and that leads to others taking advantage of him and re-creating his past. This creates a whirlwind life for both him and Grace living apart and confused on what to do next. I liked going back into the history of Fort Collins and the suspense of the bad guys who have been robbing towns. It's rather predictable but this story was well written and the characters well developed. There are a lot of references to God and being thankful for His provision. I liked this added part of the story. For a new-to-me author I was really impressed by this book, I just thought some of the parts could have been a little shorter. "I received this book from PUMP UP YOUR BOOK for free in exchange for an honest review." A fierce wind whipped Grace Ann Cunningham’s hair, yanking at the long strands and pulling them free from their pins. She squinted through the haze of the blustery day and stroked her bulging belly, trying to comfort her baby, who seemed just as agitated by the sudden storm. Her back ached from sitting on the hard buckboard bench all these miles—much less comfortable than the plush sleeper car they’d enjoyed last week on the train from Illinois to Cheyenne. She frowned at the dark roiling clouds that had moved in and quickly blotted out the sun. What had been a pleasant uneventful morning was now turning into an ominous and unsettling afternoon on the open prairie. “The baby all right, darlin’?” He scooted over on the buckboard seat to look her over, then took her hands in his. Warmth from his gentle grip comforted her, but not as much as the love streaming from his adoring gaze. “I think so,” she told him, then smiled as he laid his hand firmly on her belly. Grace thanked the Lord in a silent prayer for this wonderful man who’d married her in a simple ceremony last September. All those years she’d lived with her doting aunt Eloisa in the boardinghouse back in Bloomington, she never imagined she’d be blessed with such happiness. When Montgomery Cunningham had first stepped into the parlor to take a room before starting college at Wesleyan University, she’d been a shy, giggling girl of ten. Neither of them foresawthe love that would spark six years later when he showed up again unexpectedly, about to head west to explore and survey lands unknown. Monty closed his eyes, his hand still on the baby in her womb. She imagined him communing with their baby, speaking to it the way he spoke to rivers, to trees, to the land he traversed by boat and on horseback and on foot. Something had happened to him when he returned from the Hayden Yellowstone Expedition. He had changed from boy to man, yes—but it was more than that. He had fallen in love with the West, and with rivers in particular. Although he’d studied geology in college with John Powell, water captured his heart, and he sought out trips that had him navigating whitewater. Nothing made his eyes sparkle more than talking about the way water moved and sang as it cascaded and carved the face of mountains and spilled into waiting valleys. Well, except the way he looked at her. Monty may have loved rivers, but Grace knew he loved her more. So much more, for he gladly gave up his exploring to settle down and marry and start a family. Although, Grace thought moving to the new town of Fort Collins, Colorado, was adventure enough. She hoped he’d come to see it that way as well and not be into the wild.